“Just writing to say a BIG thank you to Paal. My husband and I have just completed building our new Paal home and have moved in before Christmas and couldn’t be happier.” – owner-builder Prue Walker, in an email to Paal Kit Homes, December 2009. Prue and her husband Craig completed their kit home in 10 months, from the time they signed the paperwork until when they moved in. The couple and their young daughter are living on 40 acres near Orange, in the central west of New South Wales. “Before we chose Paal, we went to a few of their Open Houses. The houses had so much more quality in the details than other kit homes we looked at,” she said. The Walkers' new home is a combination of the Tasman, Riverina and Hawkesbury designs, with an extra wide verandah added all around the house. It’s finished in sandstone blocks with Woodlands Grey trim. “Redesigning the home to suit us wasn’t at all difficult. We just got the Paal pamphlets, cut them up and made a few different designs,” Prue said. The couple built the home themselves, with the help of tradespeople. Although they’d had no previous building experience, it came together well. “Paal seemed very organised. The kit arrived in two deliveries, which was very convenient for us. We found working with the people at Paal a smooth experience – and a big thank you to Michael Christie for all the helpful phone conversations. 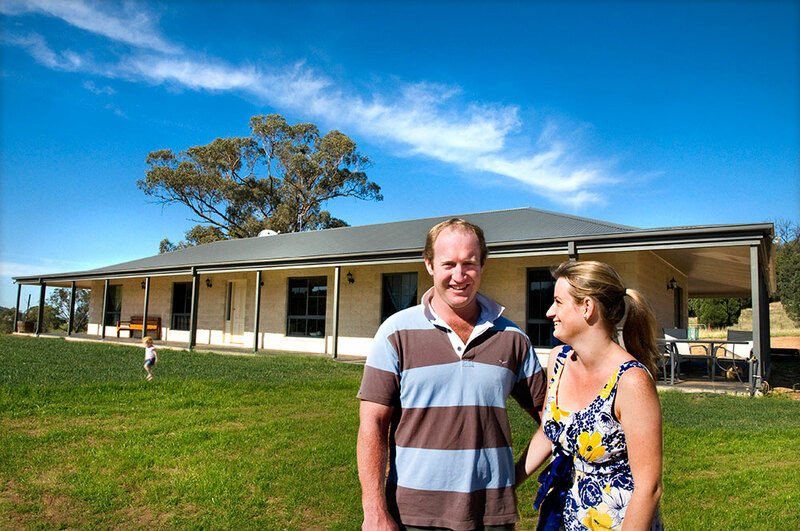 “We love our new home and are looking forward to many occasions with all the family coming to stay,” Prue said.